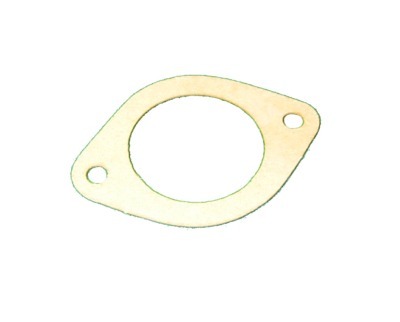 This is the Thermostat Gasket that fits many of the British Cars. Austin Healey BN4 to BJ8, MG TC TD TF, MGC, MG Midget 1500, Triumph TR3, TR4, TR4A, TR250, TR6, TR7, GT6, Spitfire and STAG. .